We all have those moments where we may be feeling a little less confident than usual. When you're feeling low, unmotivated and a little out of touch with where you're at in life there is always a way to recover and it all starts with your mind. As an early twenty something, I admit I have those moments too, but I've learned how to deal with them, pick myself up and snap back. Writing down strong affirmations that reinforce your positive qualities is always helpful. Telling yourself you are great, beautiful and worthy allows you to take control over the situation and helps remind yourself of the amazing person you are. Even when you're feeling your normal self, you should always affirm positive beliefs about yourself. Positive affirmations should always be part of your internal dialogue as what you think about yourself follows suit in your life. With social media platforms like Instagram and Snapchat in your face, it sometimes becomes difficult not to compare yourself with others. Never do this. I've said this before, and I'll say it again - what we see online is not real as the majority of people only document their highlights. Although that person may seem to have a perfect life, you honestly don't know what goes on behind closed doors or the private battles they face. So always try to refrain from comparing yourself to others because as they say "comparison is the thief of joy" which is so true. This also ties into the notion of comparing your journey to someone else's. Everyone moves at different paces and everyone's journey is unique, which is what makes us all so special. When you revert your focus on to yourself and all the things you want to achieve, magic things start to take place... trust me. What you put into yourself will manifest in tenfold, so please keep your mind on YOU, and feed yourself your own positive energy. Nobody is your competition. Just because someone seems to be ahead of you or doing something you'd like to be doing does not make them your competition. As women, I find that many of us like to compete with each other as opposed to encourage. Look to your peers as encouragement and inspiration, and you will feel yourself become more confident. Like I said before, it's all in your mind and how you perceive things. Some may think that being confident means being in control of your life. But not everything in your life can be controlled, and sometimes you may end up losing things your heart was set on such as a job or an opportunity. Real confidence is finding comfort in the unknown and embracing what ever life throws at you. Confidence comes from knowing in your gut that everything happens for a reason and it will all be ok in the end. Don't ever let the prospect of the unknown scare you. It's time to get comfortable with the unknown, let the prospect of endless possibilities excite you. Fear? What's that? When you're feeling less confident, it always helps to take a step back and give thanks for everything in your life. I like to reflect on my journey which reminds myself of just how much I've achieved so far big or small. Showing gratitude for everything in your life helps puts it all into perspective, and reminds you that everything is fine. This helps you appreciate your life and allows you to accept things as they are, which in turn boosts your self-esteem. Now ladies... it's time to get your confidence up and snap back like the boss you are. I hope this helps! Utter Godsend! Although it only launched this year as part of the Benefit Brow collection, this has fast become a makeup bag essential and definitely worth the investment. 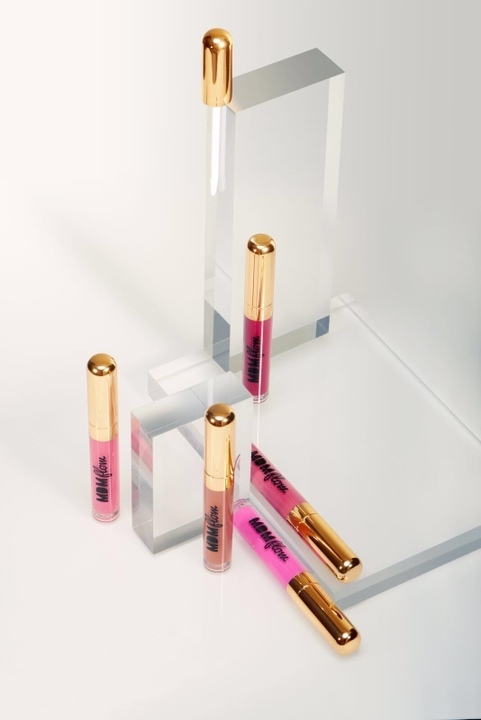 The clear gel is great for setting your eyebrows after pencilling, or even for neatening up your brows alone. This product actually managed to keep my eyebrows intact after a full day of water sports and it doesn't flake! So yes, this is definitely worth a purchase. This blush right here is amazing. 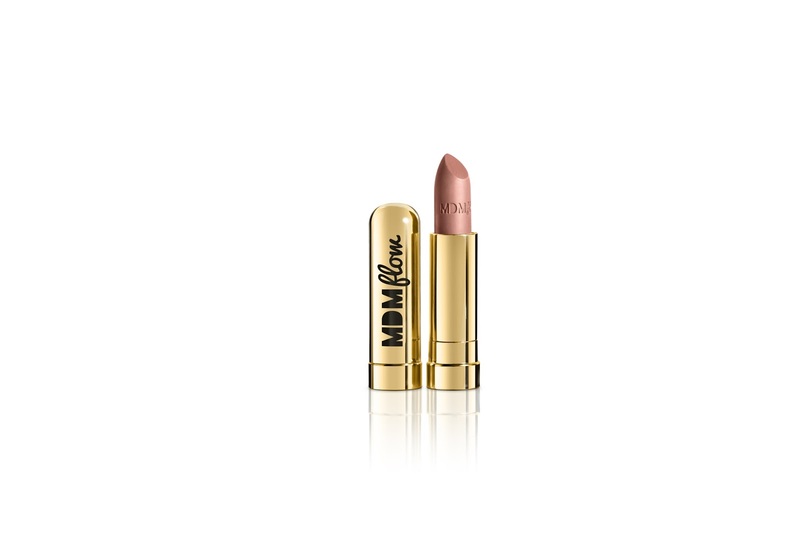 The creamy consistency blends really well on the skin without looking patchy, and also gives you a real radiant finish. 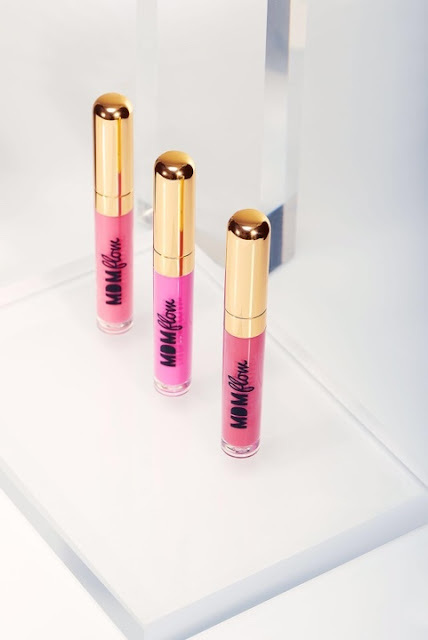 It can also double up as lip tint, so although a little pricey, it's definitely a makeup bag winner. 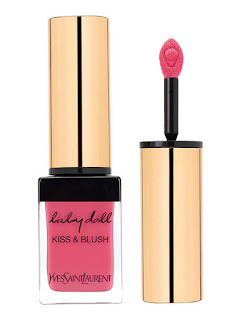 YSL Kiss & Blush is also available in 13 different shades. 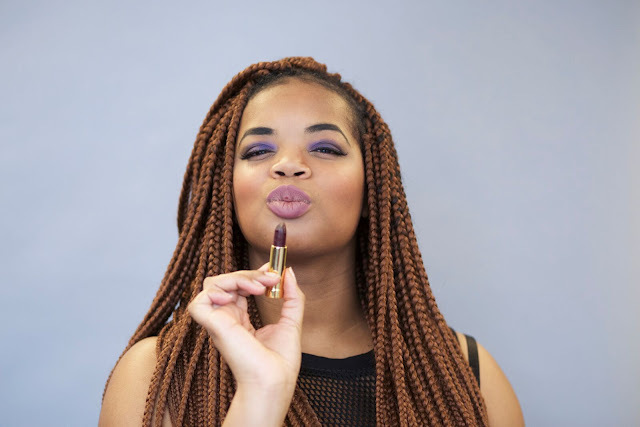 Ever done your makeup and realised you look a little dull or ashy? Well this product from The Body Shop corrects that all. It helps tone down makeup whilst giving you a holiday glow, without making you look too shiny. A couple of drops make all the difference to lifeless looking makeup. 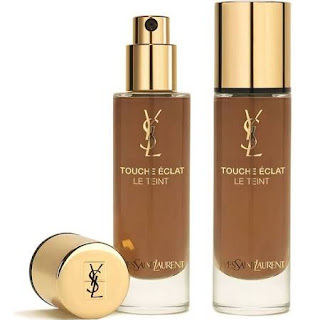 You can also add a drop or two to your foundation or moisturiser before application too, and can be used for all skin tones. 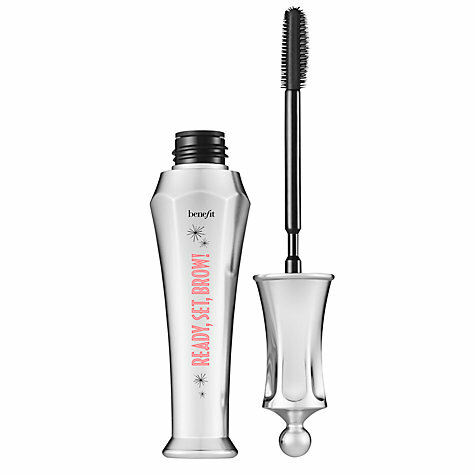 Benefit's 'They're Real' is hands down one of the best mascara's on the market. If you don't have time for falsies, this mascara elongates your lashes without making them look clumpy. 100% worth the investment as it makes tired eyes look alert in seconds. This is a foundation to live by during the cooler months. 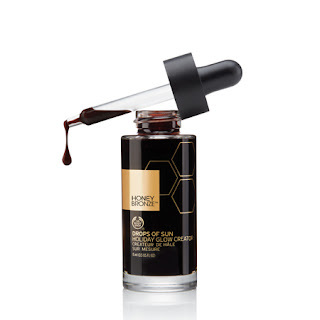 You don't need much, but leaves your skin looking radiant with its dewy finish. Although I try and avoid this during summer as it can make you look greasy with the additional sweat, during winter this product is perfect as it gives your skin the additional moisture it needs. I would however avoid this though if you suffer from excessively oily skin. Milan Fashion Week is always an extravagant affair - the majority of designers go all out with embellishments, fabrics and all of the trimmings. From the mirrored walls, dim pink lighting and velvet sofas for the display of Gucci, to the Moschino paper dolls - Italian fashion houses take creativity to a whole different level and really know how to have some fun. 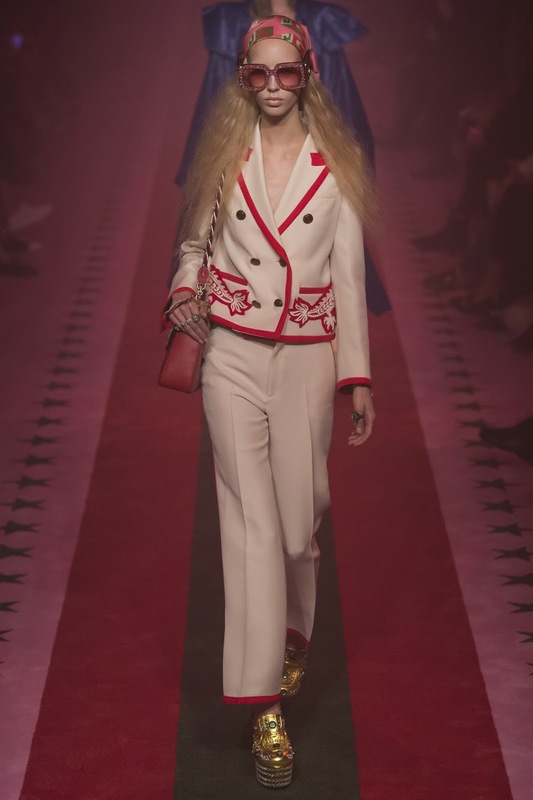 Far from the minimalism of Parisian fashion, Milan Fashion Week shows us just how Italians push the limits with their elegance. 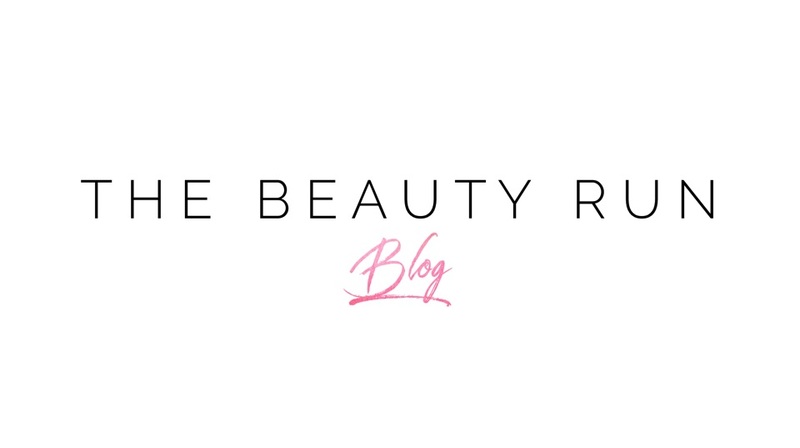 As usual, we felt completely overwhelmed with the beauty that we saw presented on the catwalk at Milan Fashion Week that we decided to summarise our favourite collections. We're always excited about Dolce & Gabbana to be quite honest. From embellished shorts, skirts, crowns, clutches and even LED lighting on accessories, D&G never fails to make our hearts crumble. As the models strutted down the runway we couldn't help but gasp and scream in adoration. With looks that included a straw style fitted dress with 'Italiana' and 'Pizza' printed across the front, and floral head pieces, the way the fashion house continue to encapsulate the true essence of Italy in each of their collections is admirable. 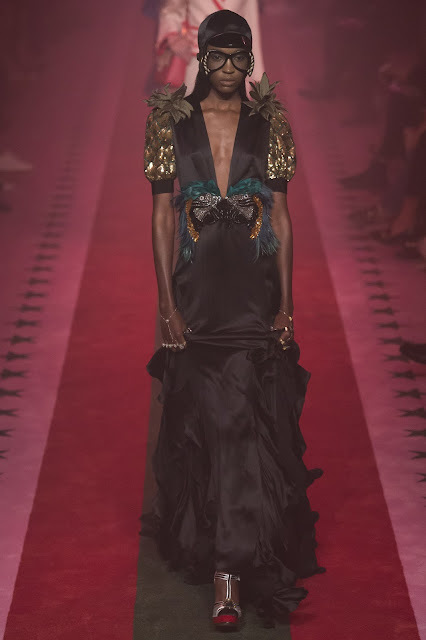 Alberta Ferretti was amazing. The designer clashed rock style leathers with elegant frills and ruffles which worked on so many levels. The elegance of the flowing dresses in the collection were broken up with chunky leather belts which did the damn thang honey. Bella Hadid rocked one of our favourite looks of the collection: a plunging sheer loose fitting blouse taken in at the waist with a leather belt, paired with floor length wide-leg trousers. Did any of you get to see the invite to this catwalk show? The brand took 3-D to another level as their invites included pop out layers which resembled a theatre set. The set of the runway almost resembled a lounge with mirrored walls, hanging sequins, dim pink lighting and velvet sofas, as the models walked down a curved runway. There was an overload of varying fabrics, colours, embellishments and styles recycled from a range of different eras in fashion history. Gucci SS17 was nothing short of decadent. The key theme in Moschino's SS17 collection was the paper doll. From minuscule bodies printed on white 2-D dresses to perfect abs and even illusions of boosted cleavage, Moschino presented societies unrealistic ideals of what beauty should look like. This theme was based on Jacqueline Susann's 1996 bestseller, Valley of the Dolls, in which the central characters deal with riches, fame and drug addiction, referring to their pills as 'dolls'. With the rise of Instagram and other social media networks, we're increasingly experiencing the world in 2-D, whilst these platforms also reinforce the idea that we have to be perfect walking life paper dolls. The collection was beautiful, and in true Moschino fashion made a real bold statement. Thank you Milan for doing the damn thing this Fashion Week!